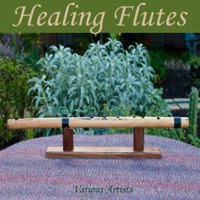 One of my tracks, Heaven on Earth, is included in a compilation album called “Healing Flutes” (Released by AudioSparx). This is an MP3 album of instrumental music featuring flutes – relaxing new age, ethnic electronica, ambient chill out, world fusion… lots of cool sounds here. It includes 30 tracks from various artists. This would be a double-album were it in a physical format. Over 100 minutes of music!